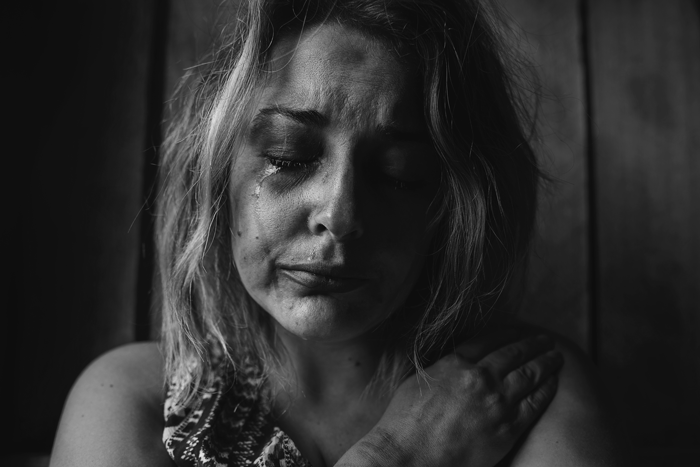 The American Psychology Association notes that mental trauma stemming from domestic abuse is "an emotional response to a terrible event" that has interfered with your everyday life, resulting in an inability to function normally. While the psychological impact of abuse is unique to the person, most victims experience heightened levels of emotional distress, feelings of self-doubt, and post-traumatic stress that may cause social withdrawal. A psychiatrist's office is a safe place to express and process typical emotions that might've been suppressed due to post-traumatic stress. A psychiatrist will not judge you for how you respond to abuse, but will focus on how you can overcome them with the correct tools. Understanding the difference between a psychiatrist and a therapist. The therapist is an umbrella term that includes social workers, counselors, and may also include psychiatrists. A therapist is a mental health professional with the proper educational credentials to practice therapy. A psychiatrist is a medical doctor that not only provides therapy, but they can also help with medical hurdles like mental issues that may stem from abuse. A psychiatrist also can determine the effect that a mental condition can have not only on your psychology but also its social impact. Domestic abuse is associated with many types of mental health problems, including depression, post-traumatic stress disorder, and suicidal ideation. However, the psychological effects of domestic violence can be conceptualized within a trauma framework that may be a bit difficult to understand, even for the victim. A psychiatrist helps simplify this complex connection between mental health and domestic abuse. Complex post-traumatic stress extends beyond the classic cluster of intrusive symptoms to incorporate changes in attitudes, personality, and character. This translates to a prevalence of panic attacks, depression, substance abuse, and crippling anxiety. A psychiatrist can help you create a medical plan with the aid of medication and psychotherapy to help you tackle with aspects of your PTSD. PTSD affects people differently. However, your psychiatrist will pinpoint unique factors as to what contributes to your PTSD. The most reviewed prescription tool for managing PTSD include antidepressants which can help alleviate feelings of worry or sadness and are commonly prescribed. A psychiatrist and their patients will collaborate to find the best medication for their unique needs. Cognitive restructuring helps patients make sense of severe or traumatic memories that they might've suppressed. Sometimes victims of domestic abuse feel guilty or shame about something that is not their fault because they remember an event differently than how it actually happened. A psychiatrist, through psychotherapy, can help demystify cognitive distortion and help you track the accuracy of your thoughts. Typically a psychiatrist will first determine if you are experiencing conditions like bipolar disorder, psychosis, or anxiety. These may exasperate and overlap onto each other. Proper diagnosis is imperative to develop an effective treatment plan. Depression tends to lead to isolation and a decreased enthusiasm for things that you used to be interested in. So treatment plans sometimes include activities to help encourage patients to take an inventory of their current behaviors, paying close attention to physical activity, hobbies, chores, and personal hygiene. Patients and psychiatrists develop a plan that is tailored to their current motivation and abilities. The idea is that small but consistent victories and accomplishments can help lift the emotional layers and eradicate the social impact of depression. Psychiatric drugs may also be used to help augment the treatment plan. Williamsville Psychiatry is dedicated to helping the most vulnerable in the Williamsville area. We specialize in empowering individuals with the right tools to understand the physiological impact of abuse. To learn about how we can be a service to you, contact us.